History. 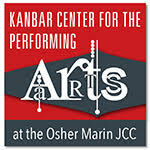 After the Marin Arts Council folded in 2011, artists and arts leaders came to believe that Marin County needed an umbrella for all of the arts—visual, theater, film, literary, and music, as well as arts education. Executive Director Mary O’Mara of MarinLink (the community project incubator and fiscal sponsor), former Program Manager for the Marin Arts Council Pam Morton, and a dedicated group of arts community volunteers led six years of planning. MarinArts is the result. Launched quietly in early 2017, MarinArts is making an impact as an important county-wide cultural events resource. 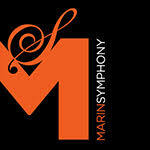 MarinArts is powered by Artsopolis, a project of Silicon Valley Creates. The platform is used by arts communities large and small throughout the United States. MarinArts is a 501(c)(3) nonprofit organization. Donations are tax deductible to the full extent of the law. Tax ID #47-2571336.